Don't know how to place a jugular catheter or how to measure a central venous pressure? Tapping a chest make you tachypneic? Improve your emergency critical care techniques with VETgirl! In this 2-hour VETgirl & MILA webinar Dr. Garret Pachtinger and Dr. Justine Lee reviewed how to perform common emergency room procedures. We reviewed procedures including feeding tube placement (including nasoesophageal and esophageal tube placement), abdominocentesis, thoracocentesis, jugular cutdowns, low-profile chest tube placement and more! This webinar uses extensive video and photos to demonstrate these life-saving techniques. Thanks to generous sponsorship from MILA, the LIVE viewing was free to all veterinary professionals! I logged in but didn’t find the registration for this webinar Do I need to go somewhere else for this registration? Please send a screenshot of the page of what you are seeing when logged in to webmaster@vetgirlontherun.com so we can investigate the issue. I can’t find registration for the webinar either. Help! Sorry you had problems – when in doubt, please contact Go To Webinar’s customer service directly as it’s from your desktop side. Thanks! This was a magnificent webinar with vital information. I have only been an elite member for less than a month and feel that I have benefited so much. I also think it is great that you offer sponsored events that more people can view. I am sorry I missed the webinar – working.. will it be given again soon? 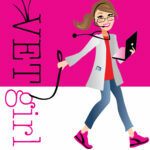 All VETgirl webinars are recorded and available 24/7/365 for viewing or review for our VETgirl ELITE members.